[This post is from our monthly newsletter at Calvary Baptist Church (Seymour, Indiana)]. When God created the heavens and the earth, he spoke light into existence and separated it from the darkness. On the first day, he called the light “Day” and the darkness “Night.” From the start, God’s world has run on a schedule. Like a watchmaker, God spun the earth so that every revolution would take twenty-four hours, and every year would include 365 days, plus six hours. It seems that in Genesis 1, God’s creation modeled the pattern that men would keep in all generations—six days of labor, one day of rest. 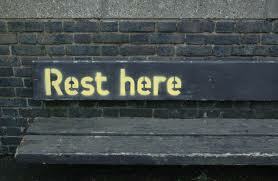 Now, this command to rest was not a call to inactivity or sluggishness. Rather, it was a call to make time a servant to men, a means by which men would learn to trust the Lord with their time and to know that they needed something more than they could acquire in their weekly schedules. Since God did not rest because of fatigue, the Sabbath was not just a means of physical recovery for him, or for us. It had a more Christ-centered purpose. In fact, it seems that the Sabbath was a gift of joy and fellowship with God. In other words, it was a holy day of worship, a day to set aside creation and to enjoy the creator. In a world unaffected by sin, this day off would have been needed, but how much more in a world wrought with sin and its effects?! This was true in the Old Testament, and it is true today. Only, since Christ’s advent, the meaning and application of the Sabbath has changed to the Lord’s Day. Thus, as we make application, let us consider three things. First, the Sabbath day in creation and Israel is a type of Christ. Jesus is the fulfillment of the law and he is the true rest. Paul calls the Sabbath of Jesus’s substance (Col 2:16-17). The meaning of this is that in Christ, we who are tempted to work in order to gain security, identity, and standing before God (and men) can now look unto Christ for all three. In him, we have rest full and free. Second, Sabbath Day worship has been replaced by Lord’s Day worship. After the resurrection, the New Testament church gathered on the Lord’s Day—the day of his resurrection (Sunday). Thus, when we gather this Sunday, we announce to the world that Christ is risen and reigning. We do not gather on Sunday because it is the most convenient day for our church; we gather on Sunday because it tells the world that on this day Jesus Christ rose and is now present with us. Just the same, when someone makes a preferential choice to skip church they muffle the testimony of the Lord’s resurrection. Third, the Lord’s Day is a gift of grace. Sadly, too many Christians obscure the grace of this gift. The Lord’s Day is not simply a day to recuperate from work in order to return to work. Your life is more than your vocation! And it is more than just getting to the next vacation. The Lord’s Day keeps this in perspective. Instead of providing physical rest alone, the Lord’s day provides living water for the weary heart. It is a day devoted to the reading, singing, preaching, praying, and discussing of God’s Living Word. If you live on God’s word and not man’s bread, what could be a better gift to you than the promise that for hours this coming Sunday a banqueting feast of God’s word will be prepared before you. The gift of the Lord’s Day is not merely a reprieve from the world, though it is that; it is a promise that God still speaks. 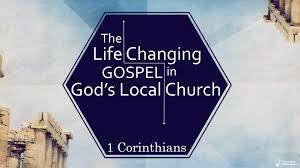 In a true church that faithfully proclaims the gospel, those who come to hear his voice will never go away disappointed. This is the grace we need to keep our hearts strong; this is the grace for which your heart longs. For those who desire God’s grace, gathering with God’s people on the Lord’s Day is a necessary part of life. It is a day filled with grace for those who are willing to seek it. Over the next few newsletters, I am going to consider a number of blessings that God gives us on the Lord’s Day and that come from attending church for the right reasons. I hope you will consider these points with me, and that you would share them with the ones who “know the Lord” but who prefer not to worship him in public Sunday by Sunday. Perhaps together, we can encourage them to taste and see the sweetness and sacredness of Sundays. Sunday is not the Lord’s Day. The Lord’s Day is the day Jesus resurrected on. “… then suddenly there was a great earthquake … Sabbath’s time before the First Day of the week.” Matthew 28:1. ‘The Lord’s day in the Covenant of Grace’.